© 2018 Dr. Ryan Hooper All rights reserved. Are zodiac signs linked to personality? When my birthday rolls around on the calendar every September I often think about zodiac signs. I’ve always been curious about the validity of personality descriptions that come along with the zodiac signs. There is something mysterious and exciting about zodiac signs. Almost…magical. Belief that celestial alignment on your birthday determines personality may be laughable to some, however, astrology has continued to gain popularity in the US through the past 3 decades. Worldwide, countries such as India, South Africa, and Canada are leading the astrology boom. 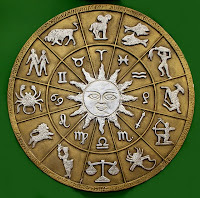 Astrology has its roots in ancient Babylonia around 600 years B.C. when the 12 zodiac signs were first organized into a horoscope. These signs were derived from the corresponding markers in the sky along the “path of the sun, moon, and planets,” which roughly correspond to the months of the year. Astronomy bloomed out of a pagan society which believed in and worshipped many Gods. For example, if a “planetary omen” such as Mars (the god of war) was bright during the summer then it was a good time to wage war. Or if Venus (goddess of love) was particularly bright, it was a good time to make love (most likely invented by men). As paganism has faded so has the religious nature of astrology. My guess is that many of the present day users of horoscopes and astrology are even unaware of its origins. Regardless, zodiac signs have pervaded popular culture and can be heard at local bars (the WORST pick-up line ever) or found in your local newspaper. I’m sure that everyone at least knows their zodiac sign and has likely read their horoscope a time or two. Many claim their zodiac sign to describe their personality perfectly. My zodiac sign personality description is even fairly accurate. However, when you take a step back and simply consider the numbers, the likelihood that 12 zodiac signs accurately predicting personality appears highly unlikely. According to the Census bureau the US currently has 300 million people. If that number were divided by 12 (zodiac signs) to get a rough estimate of how many individuals would represent a given sign it would result in 25 million (give or take a million based on more popular birth seasons). That would mean we could somewhat accurately describe the personality style of 25 million people through one zodiac sign! Our findings on astrology concord in general with the reviews of the research literature (Dean et al., 1997; Eysenck & Nias, 1982). In fairness, the present study cannot falsify astrology at large since the position of planets other than the sun might also have an effect. However, as pointed out by Eysenck and Nias (1982, p. 31 and 49) if there is some truth to astrology then some general effects of prominent astrological factors like Sun Signs should be detectable using large enough samples. The present large-scale study certainly found no independent effects of Sun Signs, Elements, or gender, and thus yields no support for the common claims of astrology. Choose the path you really want, even if it seems more challenging. Get expert advice, and follow the rules exactly. Stay cautious and focused, and go for it. See…it’s like advice and a pep talk all in one. 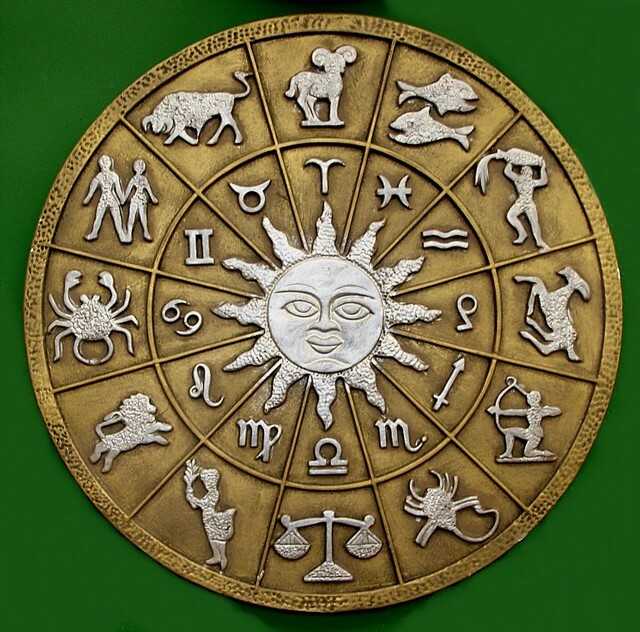 By D. Ryan Hooper Ph.D.
so i just wanted to say that the topic of zodiac personality in the field of psychology has been boggling my mind for quite some time (say about 3 yrs or so). i'm really glad you posted this blog up, it really helps on how to view and treat astrology/horoscopes. For me, I feel that not everybody is exactly like their zodiac description… not enough for people to accurately guess what their sign is by observation anyway. But I do feel people are likely to have tendencies towards the personality descriptions based on their zodiac sign than others. For me, I feel if I know their zodiac, I can have a little better idea of what I might expect in dealing with them and it's easier for me to accept their faults because I think of it as a nature they can't help. Hmm, but then I just learned about "moon signs" and "rising signs" and that could affect things too. "Sun signs" are what everybody knows themselves to be, but "rising" is supposedly the mask people wear and moon signs supposedly affect innermost feelings and fears. In the end, I really don't know if it is true or not, but have found it to be more or less accurate with my friends and family. However, I don't take it too seriously since there's no concrete evidence for it. Haha. The astrological calendar we use today was drawn out for the Roman calendar under the assumption that the world was flat and the seasons were equally long when we now know the earth's closer to the sun during the northern hemisphere's spring and summer but farther from the sun during its fall and winter. No one knows how they knew there's only 365 days a year, 366 every 4 yours, and 367 every 400 years. When I was 16, my sister took me to the planetarium where I told a professional astrologer there I was born on October 20th and he told me I'm not really a Libra but really a Scorpio and explained to me just what I just explained to you. The horoscope, tarot cards, and "sun, moon, and planet signs" are just a perversion of astrology. Sun's not in a sign. The earth is. The moon doesn't have signs. It has phases. It doesn't matter what sign the planets were in when we were born because we weren't born on planets. We were born on the earth where we belong. True astrology consists of astronomy and basic human psychology. Our signs naturally affect our personalities but no one's exactly like their sign. The moon's phase at our time of birth also affects our personalities because the moon influences us and our emotions because it influences the earth's waters, we're 65% water, and water is the element of emotions as evidenced by the fact that water comes out of our eyes in the form of the tears we cry. Mental and emotional disabilities obviously also affect our personalities. Personalities are also hereditary. I started reading about this stuff just over 8 years ago. My girlfriend's an introverted, powerhoused, and sensual Taurus born under a waning crescent moon whereas I'm an introverted, powerhoused, and emotional Scorpio born under a waxing crescent moon. If you have enjoyed a young psychologist's blog please visit my new website DearHoopers.com. My wife Kate and I have started an advice column and we would love for you to visit. Also, please visit us on Facebook, Twitter, or Instagram. D. Ryan Hooper, Ph.D. on Are zodiac signs linked to personality? Jenny Hayes on Do I have a drinking problem? Minghao Li on Are zodiac signs linked to personality?